The Pond Hall Action Group was a community group, with no political alliances or Influences, Set up to represent the true views of the local community. It produced a number of Newsletters, carried out a survey of the local community. 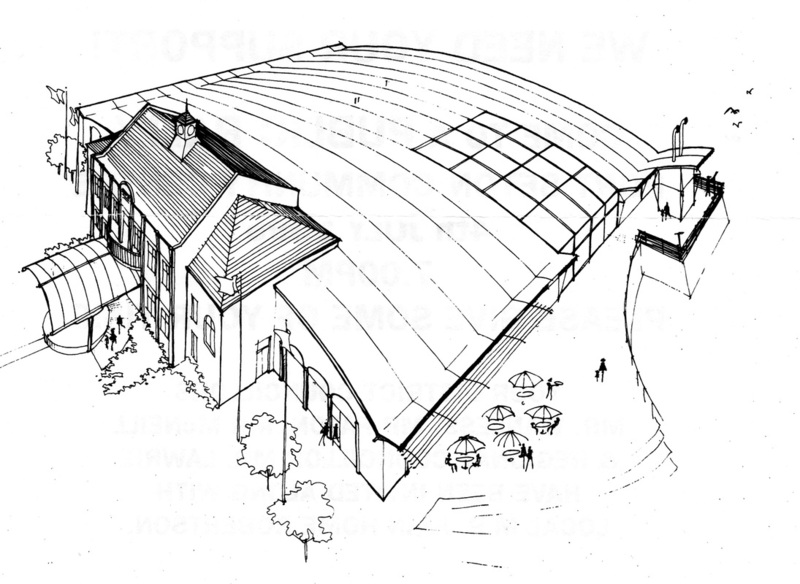 It produced detailed plans for a leisure facility. 22 March 1995: Meeting - Pond Hall Action Group formed, A coordinating Committee was elected. 4 July 1995 - Support rally (standing room only) Councillors Lawrie and Paton attended, Councillor Wanless did not attend, Plans were presented at the meeting. 12 July 1995: Councillor Walness invited the group to a meeting, this was seen as encouraging,but Councillor Walness indicated that the Labour controlled East Lothian District Council would be pressing ahead with their plans, but would be prepared to meet with the group if and when the business plan was available. 11 October 1995 - Emergency Planning Meeting. The group realised that it needed to know what the local community would really like to see on the Pond Hall site. It organised door to door surveys, distributed and collected questionnaires in 1995.